This gorgeous clutch purse is ideal for keeping your money and cards safe in any occasion and features a striking strawberry check design. 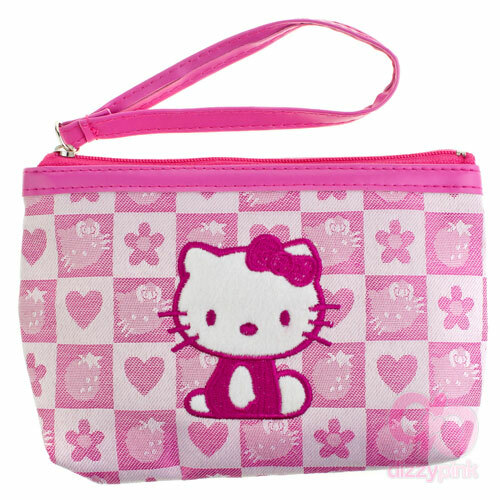 The design also features a charming, embroidered Hello Kitty emblem bound to catch the eye of any Kitty fanatic. With lots of bags available in this range this purse is perfect for those who love to mix and match! Add it to your collection today! (H) 11 x (W) 16 x (D) 1cm.